GalaxyTrail, Marvelous Games, and XSEED Games have announced Freedom Planet will be released August 30, 2018 on Nintendo Switch. The game will be available for pre-purchase via Nintendo eShop later this month. It’ll support English, French, German, Spanish, Japanese and Korean. Marvelous Europe and XSEED Games have today announced the digital release date of GalaxyTrail’s smash hit Freedom Planet on Nintendo Switch – 30th August 2018. Eager fans can also secure their copy ahead of the game’s official release by pre-purchasing the game from the Nintendo Switch eShop later this month. 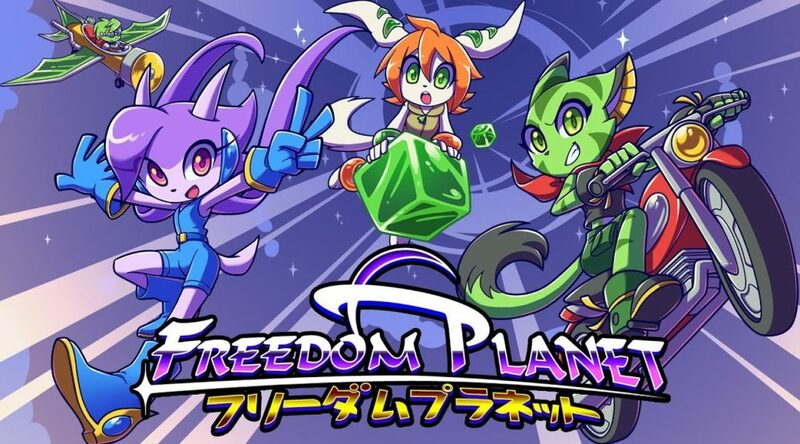 Freedom Planet is a fast-paced, combat-driven platform adventure that pits a spunky dragon girl and her friends against hostile foreign powers and alien attack forces. There’s trouble around every turn, from insects and giant robots to sheer explosive destruction, but players will have a variety of special fighting abilities at their disposal to blast through more than a dozen massive, non-linear stages. Take back the world of Avalice and return peace to its three kingdoms for the first time on a handheld console! Play as one of three characters – Lilac, Carol or the unlockable Milla – each with their own unique gameplay style, and use their individual skills to forge a path through the gorgeous 2D pixel art and lush multi-scrolling backdrops that make up the stages in Freedom Planet. Each character’s abilities add new ways to fell foes and traverse tumultuous terrain, employing the game’s momentum-based platforming and sprawling level designs to reward players with a seemingly bottomless barrage of secrets, alternate paths, hidden collectables, and speed run opportunities for faster clear times. With a traditional ‘Adventure Mode’ featuring over an hour’s worth of fully voiced cutscenes to enhance the game’s dramatic storyline, and a ‘Classic Mode’ to get players straight into the action, the Nintendo Switch release of Freedom Planet offers the full, uncompromised experience at home or on the go.